AIDS New Brunswick (AIDS NB)Inc. is a provincial non-profit organization that aims to promote and support the health and well-being of people living with and affected by HIV/AIDS, while helping to reduce the spread of HIV, Hepatitis C and other sexually transmitted and blood born infections in New Brunswick through the provision of prevention, education and support initiatives. AIDS NB is now accepting nominations to its Board of Directors. In order to be nominated to the Board of Directors you must be a member of the organization for at least 30 days prior to our upcoming Annual General Meeting (AGM). As our organization is provincial in scope, we are accepting nominations from across our province. You can become involved in the process by either nominating yourself to be a candidate to the Board of Directors or nominating someone you know as a candidate to the Board. AIDS NB is governed by a strong Board of Directors. We are seeking members that are professional, experienced and interested in executing the vision of our organization. 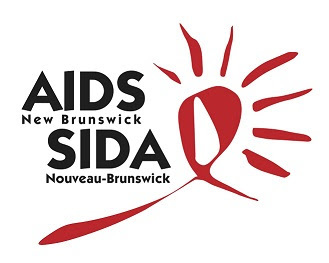 To learn more about AIDS NB’s mission and goals, please visit our website at: http://aidsnb.us2.list-manage.com/track/click?u=286f3ccee9be75dd9441871dd&id=3cf506faa5&e=3bb06d1e5f. Please note that the nomination form can be completed online at http://aidsnb.us2.list-manage2.com/track/click?u=286f3ccee9be75dd9441871dd&id=7fc0d8849f&e=3bb06d1e5f. The deadline to complete this form is 11:59 PM AST on May 14, 2017. If you are interested in becoming a Board Member, please take the time to fill-in the nomination form. If you know of someone who may be interested in becoming a Board Member, please feel free to share this information. People living with HIV and/or Hepatitis C who possess the necessary skill set are strongly encouraged to apply. Please note that the AIDS NB’s upcoming AGM will take place in Fredericton, on Saturday, June 24, 2017. Please contact Executive Director Matthew Smith at matt@aidsnb.com or by phone at 1-800-561-4009 ext. 102, for any questions.